While many people view rear-end collisions as minor car accidents or fender benders, they often cause a great deal of damage. At Berenz Law Network, Chicago car accident attorney Phil Berenz provides compassionate and zealous counsel to individuals who have been injured in rear-end collisions. Do not suffer in silence! You may be eligible to receive compensation for your injuries. Phil is here to review your case and help you determine the best course of action after your accident. Over the last 17 years, our firm has secured millions of dollars in settlements and verdicts for accident victims like yourself. We understand just how devastating the aftermath of a car crash can be, which is why we make ourselves available to clients 24 hours a day, 7 days a week. We also offer legal representation on a contingency fee basis, which means that you don’t pay us any fees up-front or out of pocket. Instead, you only pay for our services if we make a recovery on your behalf. 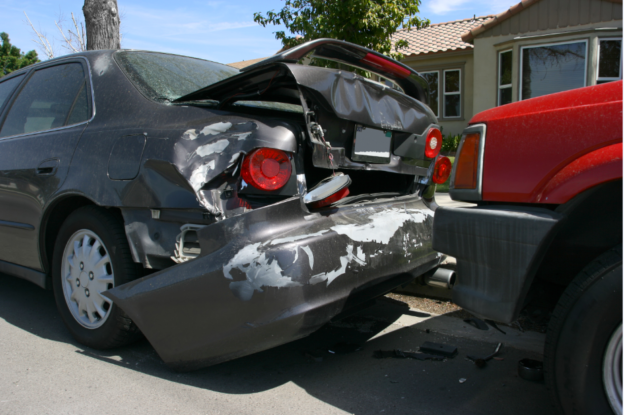 Rear-end collisions often reveal who was at fault much easier than other types of car accidents. Either the driver in front aggressively or frantically stopped their car without proper warning or time for reaction from the driver behind them, or the driver following didn’t take proper precaution in keeping a safe distance. These types of accidents can be caused by a wide range of factors. If it can be proven that the other driver committed any of these actions, you may be eligible to file a claim for compensation. When you hire Chicago car accident lawyer Phil Berenz, he can consult with an accident reconstructionist, examine police reports, review your medical records and speak to witnesses in an effort to establish liability and recover damages. Is the tailing driver always at fault for a rear-end collision? It is commonly assumed that the tailing driver is always at fault for a rear-end accident, but this is not necessarily true. While there is no denying that tailing drivers are responsible for a majority of these collisions – either because they were following too closely or distracted by their cell phone – there are certain situations where the leading driver could also share some of the blame. If you were involved in an accident under similar circumstances, it is important to establish that the other driver was at fault. Just because you were the tailing driver doesn’t necessarily mean that the other party is excused of liability – even though their insurance company may attempt to prove otherwise. Let the dedicated legal team at Berenz Law Network review your case today. While accidents do happen, gross negligence can lead to severe injuries. If you are suffering from a neck injury, back pain, whiplash, a head injury, or any other type of medical issue due to your accident, make sure you take legal action. You will need a Chicago car accident lawyer on your side to help you prove the other party’s negligence. Our firm may be able to help you recover damages for lost wages, medical bills, pain and suffering, and therapy costs. Do not wait to pursue the fair compensation you deserve! Schedule a free consultation by contacting Berenz Law Network at 312-375-6524 today!